Bonjour lecteurs! I hope you are enjoying the nice weather! Let’s not waste any time. Aujourd’hui, I want to go to the point! Our new fashion post is very special to us! Indeed, Baba Fashionista is more than showing you some nice clothes. 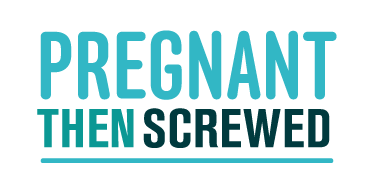 Our style post is proud to introduce Pregnant Then Screwed, who supports women who have been discriminated against during pregnancy or motherhood. So yeah, Baba Fashionista with Pregnant Then Screwed gives you the chance to win a fab top or baby vest (it’s up to you), but more importantly, we are super proud to introduce you to a platform which helps mamans! So let’s do it! This is a safe space for mothers to tell their stories of pregnancy or maternity discrimination and to receive the support and protection they need. Join their movement now and support other mamans. A friend, a member of your family, a neighbour or a colleague… Is there someone you know who has been discriminated at work? Let’s help each other and be an active member of such a fab community! Joeli Brearley founded this project and campaign after she was sacked by her employer when she was 4 months pregnant. It’s a place where both pregnant women and mamans can share their stories anonymously. It can also help you with its free legal advice line. More importantly, it’s a fabulous network for women to find some peer support. It’s why we are even more delighted to have this fabulous project on the blog. Their recent campaign is called #Givemesix where Pregnant Then Screwed is asking the Government to increase the time limit to raise a tribunal claim from 3 months to 6 months. En effet, the time limit has an impact on the number of pregnant women and new mums who can access justice. Mothers should not be forced to make a choice between the health of themselves, their baby and justice. Join it here! Even if you are not directly concerned, you will for sure help some other mamans out there! If you wish to spread the word about this fab movement, nothing better than buying one of their items with excellent messages here. Joeli sent us two items to write this post and we love them! Have a look at my great mummies’ supporter in town! I told you before. 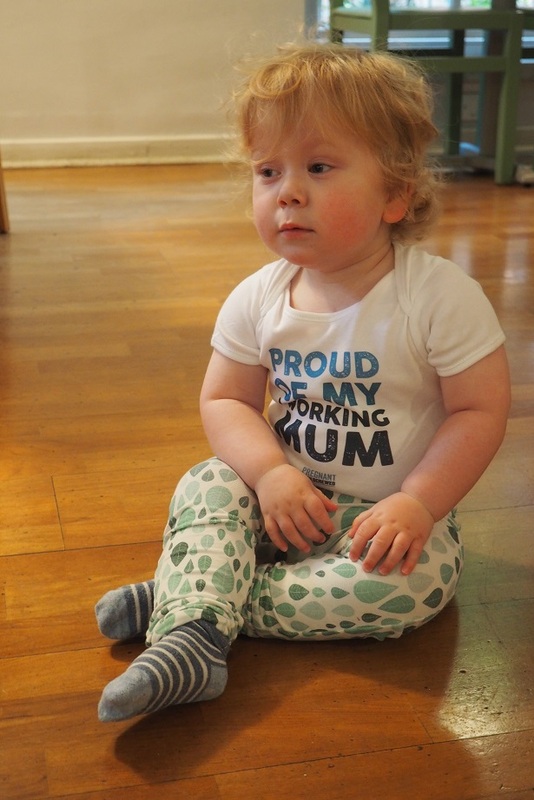 I loved being a maman at home, but I am even happier to be a working mummy. 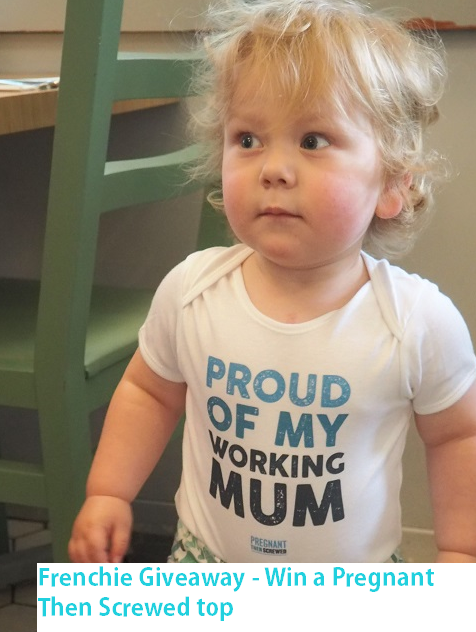 This unisex T-shirt for children aged from 2 – 5 years summarises well the movement and it says it all clearly. Not only you will support the campaign, but you will also send the message that women are entitled to work freely even when they are a mummy! My mum was a hard-working lady, as my grandmother and I am very proud to have followed their steps. Yes, I might only be working part-time, but I am happy that I have been financially independent early on in my life. 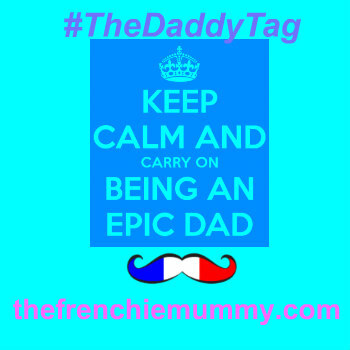 And becoming a maman didn’t mean it would stop! So happy to be part of the movement! This garment has been approved to Oeko-Tex Standard 100. It contains no substance harmful to people or the environment. It also adheres to the WRAP principles (WRAP is dedicated to ensuring lawful, humane and ethical manufacturing throughout the world). Parfait! We love this top. Not only the phrase on it is very powerful, but the colours are cute and fun. 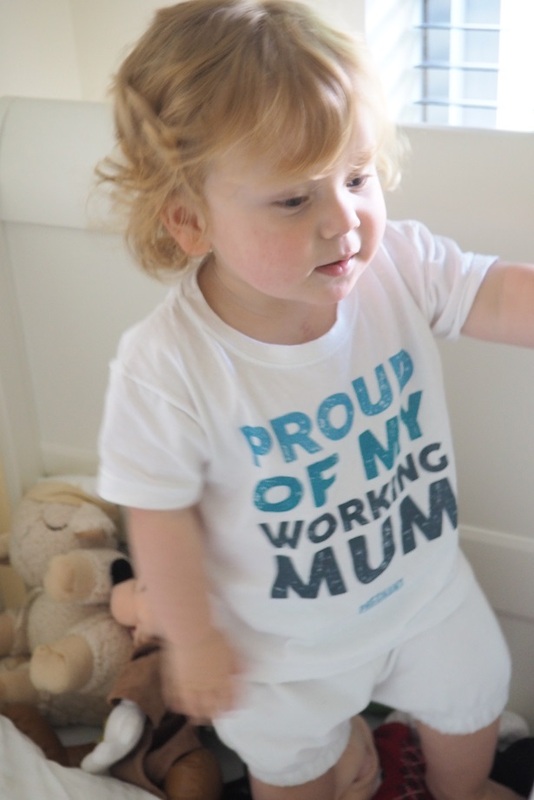 At a retail price of £10, it’s a must-have for any enfant proud of their maman working! And the second item we got had the same fab features! This baby vest had the same message with the same graphics. It’s the best way to celebrate being a working mum. You can also buy it for a friend of yours to remind them how powerful and brilliant they are. Super proud to present you with a fab community. Yes, we promise! I know that I had my doubts about going back to work. As I explained in a previous post, women are discriminated against once they are expecting or a mummy. So I love this garment. It shows my position clearly and it also means that I support an important movement. We previously shared some pictures of Baba wearing this fab baby vest and many people asked me where it was from. Here is for you and I hope you will feel that you want to join this great community! You would have understood it. I am very happy with both the items we received in this post. Not only it is very cute (after all, this fashion series is about Baba), but it is more than that. It has a powerful message! It means that I support other women and I am part of a community that defends our rights. I am sure you have seen someone in your entourage being discriminated at work. Or you might have been yourself a victim. So visit the website and buy some clothes! Let’s spread the word about a très importante campaign! Be part of the movement now. One of our lucky readers will have a chance to win a baby vest or a t-shirt. Your choice! Do you agree with Pregnant Then Screwed and want to be part of a fabulous community? Then, enter our GIVEAWAY now to win one of their fab pieces of clothing. Win a fab outfit and support your fellow mamans out there! This giveaway starts on Sunday 6th August at 7 pm and ends at midnight on the 6th September. The closing date is 11:59 pm on the 6th September at midnight. Provision of the prize is the responsibility of Pregnant then Screwed. Disclosure: we received these items for free and are super proud to have Baba wearing them! Because we want to support other mamans. You too? Then, join Pregnant Then Screwed today. Thanks for reading Baba Fashionista with Pregnant Then Screwed. I hope we inspired you to check out this fab website and you will join their last campaign now! We need you! Great way to get the message.accross -being a mummy means you can also have a life too!! I like that they send the message that women are entitled to work freely even when they are a mum. I love how honest the blog is! I read a few of the stories – disgusting the way these women have been treated. Unfortunately, discrimination does not only happen to pregnant women. I have been widowed twice at a young age. Both times I was treated badly upon my return to work (different job places). I was victimised and discriminated against for being off work while my husbands were ill and after the funeral. It was Hell. It seems employers can get away with ANYTHING and EVERYTHING and there is nothing to protect the employee. I love the strong messages! It’s a great way to get the message across that your life doesn’t have to stop just because you have children. I love the fact that it’s REAL. 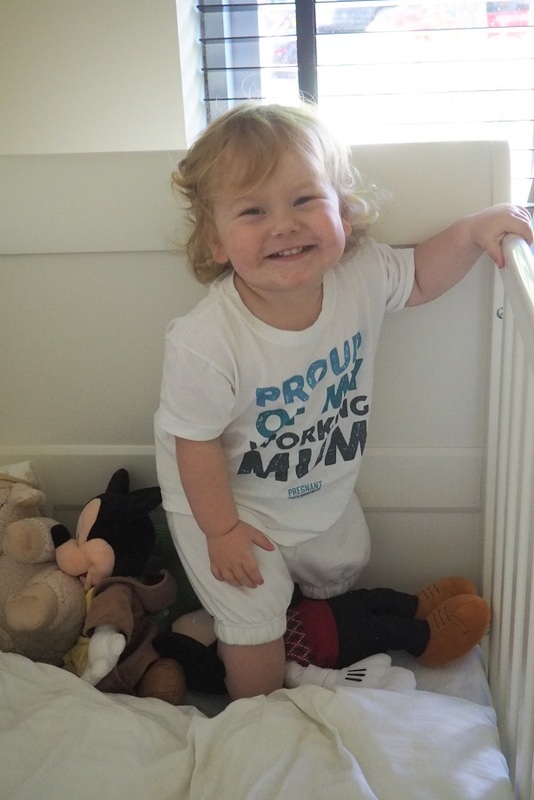 It’s not about solely being a mum – mums are people too! I like that it’s a safe forum where mum’s can be honest without judgement! This is such a fantastic cause!!! I know someone who was hired as a Christmas Temp and let go. But it then transpired that ALL temp staff but her was kept on and this happened a few weeks after she told them she was pregnant. They obviously used the excuse that she was a temp as the reason for not keeping her on but there is a reason why Comet went bust – too many out of Court settlements haha! Thank you so much for sharing this amazing charity with us at #TriumphantTales. I wont take part in the giveaway as my 14 month old is still in 9-12 month clothes so i’ll be waiting a LONG time for him to fit into it. This is awful! Unfortunately, this kind of things happens all the time. It’s why we need to help each other and support campaigns like Pregnant Then Screwed. Thanks for your comment. Great attitude and very honest. Helps mum’s to not feel like a failure! I love the support! I have been through hell at work, still 7 weeks to my due date and i have no idea if I’m getting maternity pay! I have found its the women with children thats the worse too! I like how inspiring the message is! I love the ‘real’ messages that are sent out! I love the fact that they’re speaking out about what can be a hidden issue. I am a self-proclaimed angry feminist! This company fits with many of my ideals – equality in the workplace for women, not being disadvantaged by being pregnant/having children etc. love the direct honest and that you instill that your life doesn’t have to stagnate when you have children. Its quite shocking how common it is, I didn’t feel I could return to my old job after having my son. I find the comments very supportive and I hope they will give women confidence. The honesty is the best bit. When I was pregnant and gave a date for my return to work, my boss scoffed at me and implied that I was deluded. I made sure that I returned on the date I said and worked hard so that they knew I was a reliable employee. I love that the company has a powerful mesage. I love the idea, its a great way to show mothers can still be everything they want to be. I like that it’s a safe forum where mum’s can be honest without fear of being judged. 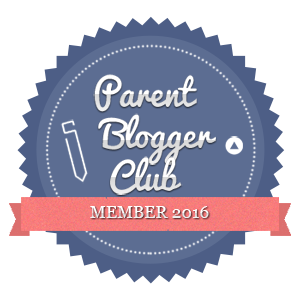 I love the honesty in the blogs and of course the competitions!